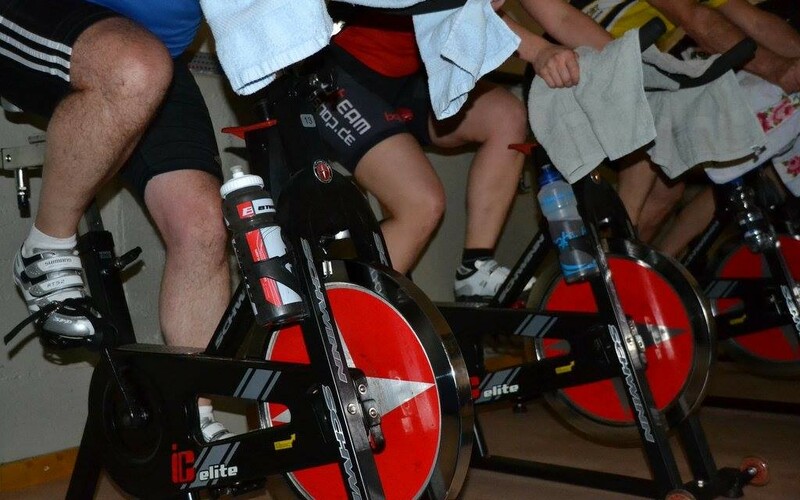 Winter time is indoor cycling time. At least for those of us who can’t stand the rain and the cold … and cleaning your bike for two hours, after a one-hour ride. Inside it’s cozy and warm and no mud holes that splashes dirt onto your stationary bike. Inside there are … the guys, though, too. Excusé moi: The! GUYS! All capitals, of course. So, it’s warm, but not dry. 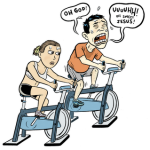 At least not any longer from, say, 10min into spinning class. And there are no roses to be smelled, either … unfortunately. But what the heck – here we are, on our bikes, pedaling away, dreaming we are spinning those wheels just as fast on the road again soon. Probably picturing the sprint to the finish line in this one big race signed up for, winning it by a hair’s breadth (another good reason for shaving those legs again, come Spring time!). Take a look at the musicians good old (sic) Bonnie has on stage with her – what’s with the drummer in the suit, for instance?